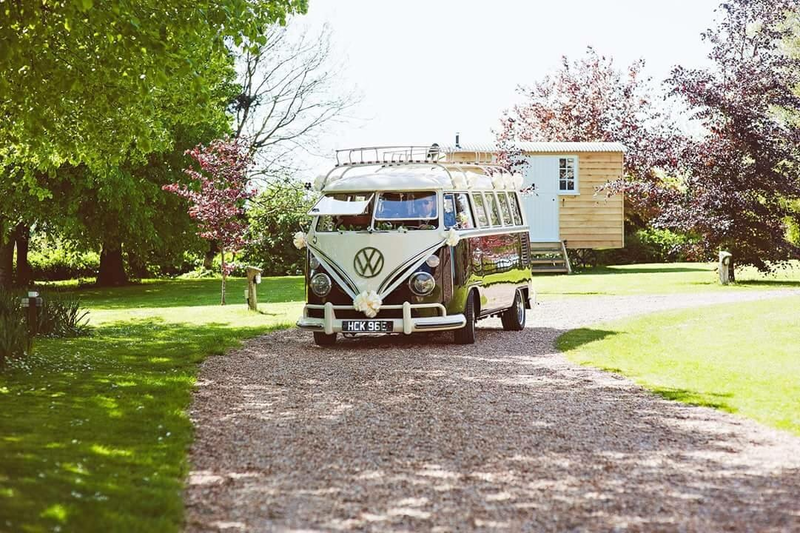 Splitty Wedding Hire is a family run business established in 2013 and is run by Husband and Wife Team, Mark and Kate Burch. 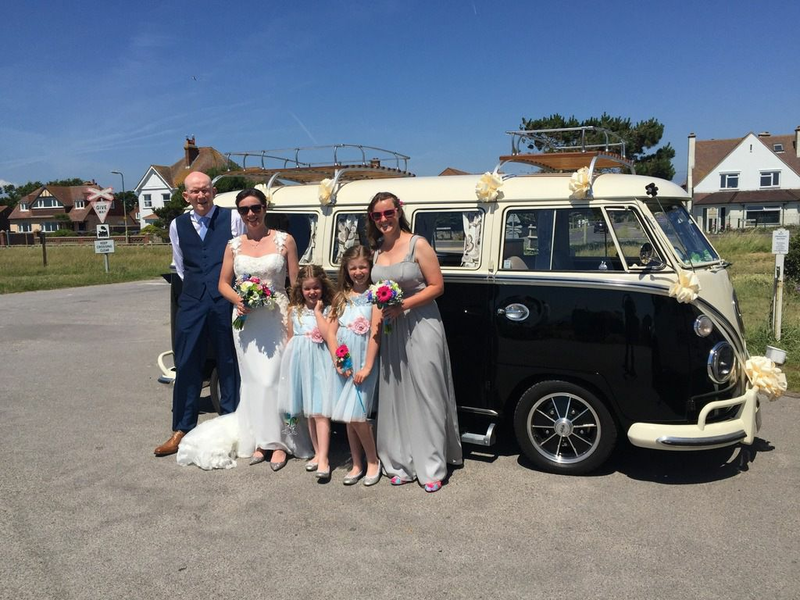 We are based in Bedhampton, Hampshire and offer Chauffer driven wedding transport across Hampshire and West Sussex. 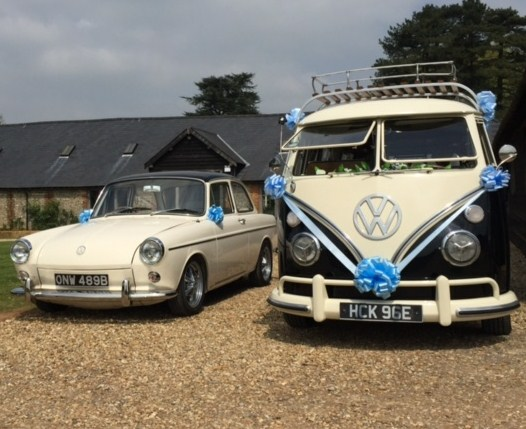 The stars of the show are, ‘Hector’ our 1967 13 Window Deluxe VW Splitscreen Campervan and ‘Ozzy’ our 1964 VW Notchback Our aim is to provide a unique, relaxed, enjoyable journey for you and your bridal party. 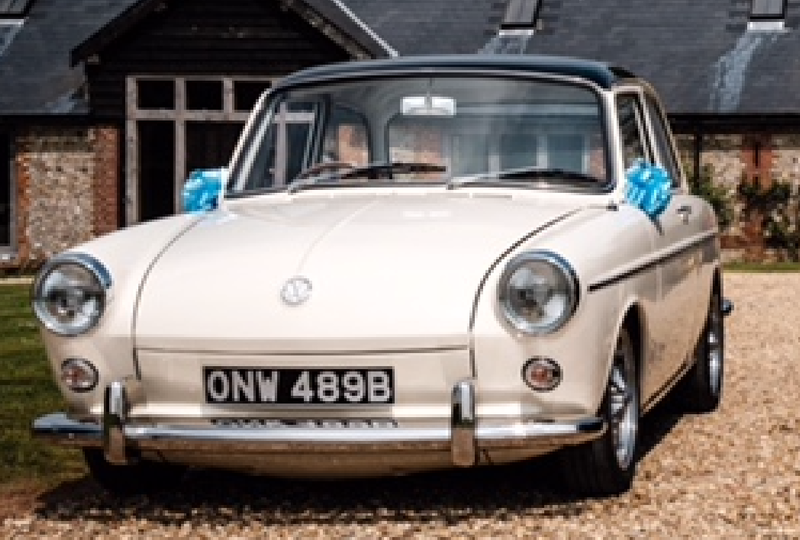 You can be sure of our full attention, as we only take one booking per day, so there will be plenty of opportunities for photos, to help you remember your special day and show your unique Wedding Transport off to all your guests. Ozzy was in October 1964 in Australia and was imported into the UK in 2001. Poor Ozzy spent some time in different parts of the UK until in December 2014 when we rescued him from going to car heaven. We instantly fell in love with Ozzy and set about a 2 and half year restoration project to bring him back to all his glory. Ozzy made his debut at a large VW show called Volksworld in March 2017 and has been wining show awards ever since. He is now fully restored and tuning heads wherever he goes. We are sure that on your special day, Hector and Ozzy will make you and your guests smile and you will fall in love with them, just like we have. Ozzy is very spacious inside and can comfortably sit 2 people. Have a look on our facebook page for info on upcoming wedding events that we will be attending and to view recent wedding day photos. 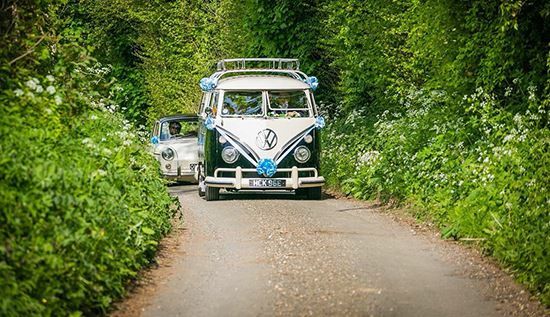 We are a small family run business providing Vintage VW wedding transport in Hampshire and West Sussex. With over 200 successful weddings we pride ourselves on attention to detail and a more personal service.